Bookends: The Screaming Divas by Suzanne Kamata ~ Excerpt! 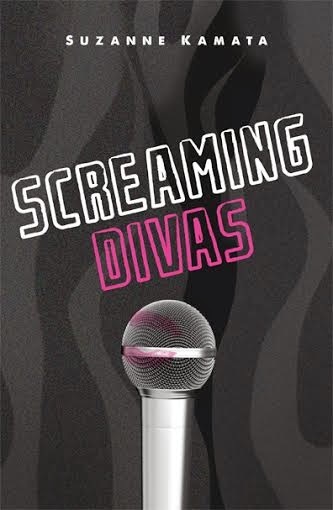 The Screaming Divas by Suzanne Kamata ~ Excerpt! Five-time Pushcart Prize nominee Suzanne Kamata is the author of the novels Screaming Divas (Merit Press, 2014), Gadget Girl: The Art of Being Invisible (GemmaMedia, 2013) and Losing Kei (Leapfrog Press, 2008), and editor of three anthologies - The Broken Bridge: Fiction from Expatriates in Literary Japan, Love You to Pieces: Creative Writers on Raising a Child with Special Needs, and Call Me Okaasan: Adventures in Multicultural Mothering (Wyatt-Mackenzie Publishing, 2009). Her short fiction and essays have appeared widely. She is the Fiction Co-editor of literarymama.com. Thanks for being on the Screaming Divas blog tour, Shelby! !